For over a decade I’ve been providing live silhouette portrait cutting entertainment services for events— weddings, corporate parties, birthdays, boutiques, craft fairs, and museum programs. 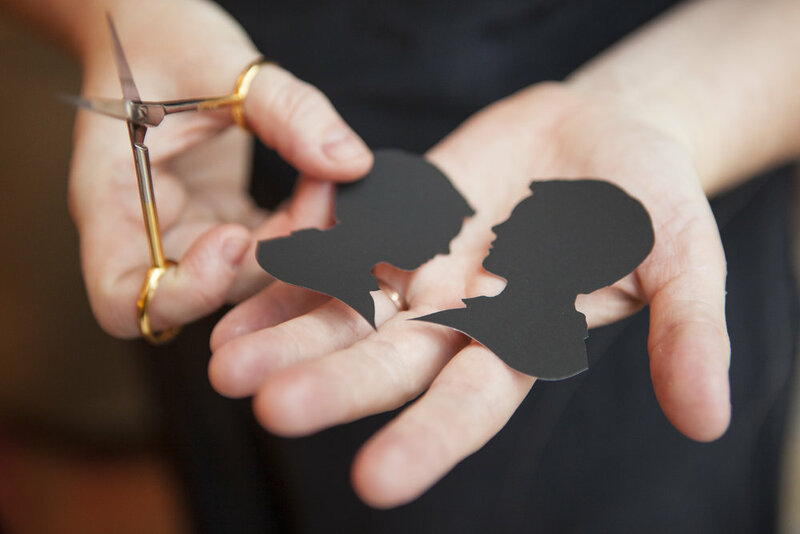 Your guests take home a traditional freehand silhouette portrait cut from heirloom-quality matte black paper mounted on white museum board, signed and dated by me in a clear envelope so they can share the fun. Drop me a note to chat about bringing silhouettes to your special day!